Seismitoad in game: 569 Who? Important notice! 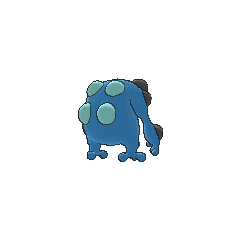 Pokemon Seismitoad is a fictional character of humans. 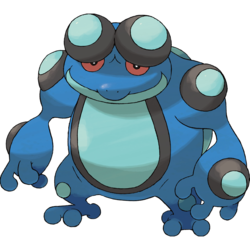 Seismitoad (Japanese: ????? 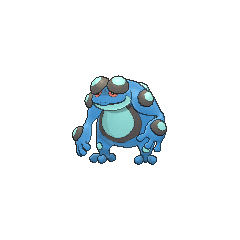 Gamageroge) is a dual-type Water/Ground Pokémon introduced in Generation V.
Seismitoad made its TV debut in Battling the Bully!. It was a Pokémon owned by Sean's father, which he loaned to his son and Glenn to use in a battle with Mick. However, it and the Scolipede Sean's father also loaned the pair lost to Ash's Pikachu and the Sunglasses Krokorok under Mick's control. Another Seismitoad appeared in The Clubsplosion Begins! under the ownership of Edmund. Seismitoad made its debut appearance in the "World of Pokémon" introduction scenes of White—Victini and Zekrom and Black—Victini and Reshiram. Dino also owns a Seismitoad, which appeared in A Unova League Evolution! in the scoreboard of the full battles in his battle against Virgil. A Seismitoad also appeared in Genesect and the Legend Awakened at Pokémon Hills. A Seismitoad appeared in a flashback and fantasy in The Journalist from Another Region!. Seismitoad appeared in The Uprising under the ownership of some Team Plasma Grunts. 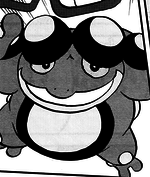 Ghetsis used a Seismitoad in the Black and White chapter. By putting power into its bumps, it composes vibrations and increases the power of its punches. 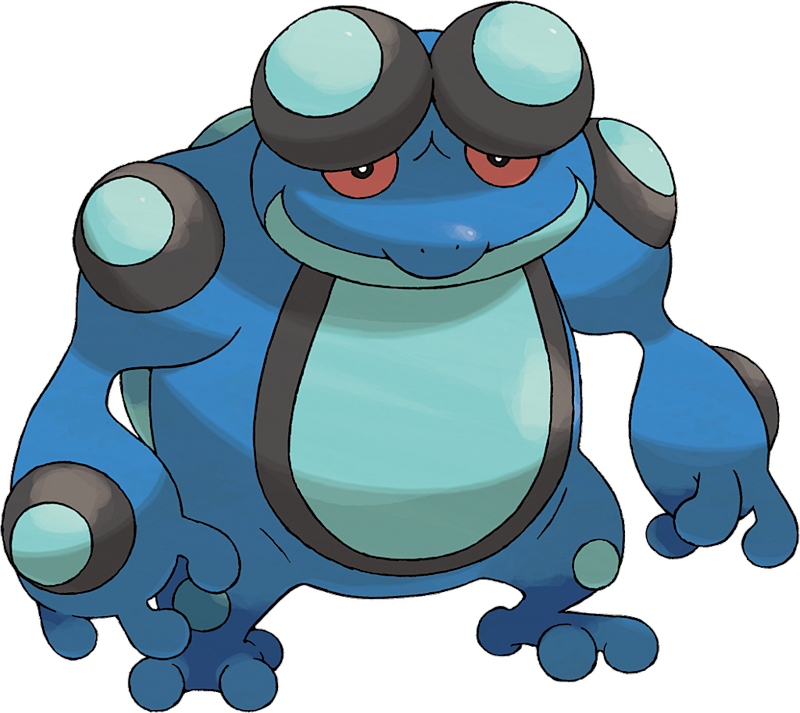 Seismitoad appears to be a combination of a toad and a loudspeaker. The spherical "speakers" on its body might be inspired by the "warts" and poison glands found on most toads. Alternatively, inspiration may come from the Surinam toad, an aquatic amphibian whose backs are covered in pockets that hold its eggs. It may also be based on a goliath frog because of its massive size. Its Pokédex entry mentions the fact that it composes vibrations underwater, which is also similar to the Surinam. The two bumps on its head may be based on the bells of a traditional alarm clock. Gamageroge may be a combination of ? gama (toad) and ???? gerogero (onomatopoeia for frog croaking). Mandarin Chinese ??? Chánchúwáng Literally "Toad king".